You can now get your Google Plus notification via email as well as via SMS. Google plus now give you option to receive notifications on your mobile via SMS. Its completely free service. There is no fee for this service. You have to first add your mobile number in your Google Plus account. 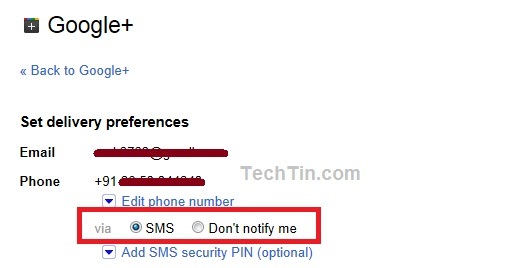 After adding your mobile number in your Google Plus account, enable SMS notification on Google Plus settings page. 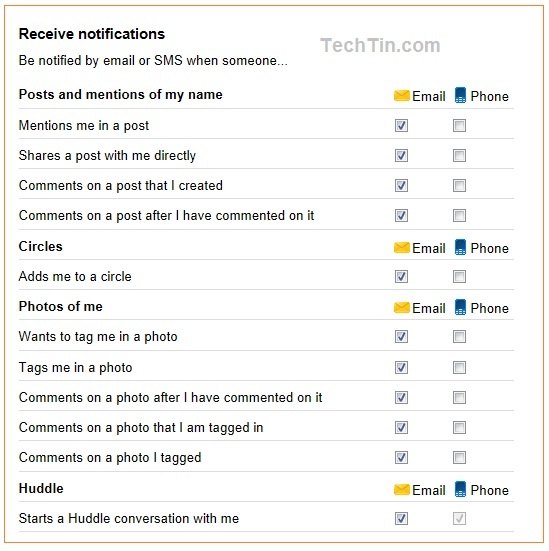 After enabling SMS notification, you can select what notification you want to receive via SMS on Google Plus settings page.